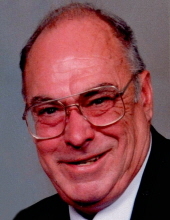 WAUNAKEE/CROSS PLAINS-Paul C. Falkenstein, age 84, formerly of Cross Plains, passed away on Friday, Feb. 8, 2019 at Waunakee Manor. He was born on May 19, 1934, in Cross Plains, the son of Theodore and Lena (Geraths) Falkenstein. He married Martha Kraska on June 2, 1956, in Richland Center at St. Mary's Catholic Church with his brother, Fr. Vic Falkenstein officiating. Paul worked for J.H. Findorff Construction for many years as a cabinetmaker, was a lifelong member of the Carpenter's Union #514, and later worked for University Housing. He also was a member of the Knight's of Columbus #3924. Paul enjoyed hunting, fishing, gardening, canning many items from their garden, and watching the Packers, Brewers and Badger football. Paul is survived by wife, Martha; son, Dennis (Mary); daughters, Carol (Tom) Stemrich, Jean (Mike) Adler, Joan (Casey) Finley; son, Paul V. (Chris); grandchildren, Heather Falkenstein, Ben (Monica) Falkenstein, Matthew and Mark Stemrich, Brogan and Katerina Finley, Amanda (Steve) Ruiz, and Corey Falkenstein; and great-grandchildren, Olivia and Cora Falkenstein. He was preceded in death by his parents; two sisters, Margaret Buttchen and Sylvia Norton; and a brother, Fr. Victor Falkenstein. A Mass of Christian Burial will be held at ST. FRANCIS XAVIER CATHOLIC CHURCH, 2947 Thinnes St, Cross Plains, at 11 a.m. on Thursday Feb. 14, 2019, with Mnsgr. Gerard Healy presiding. Burial will be held at St. Francis Xavier Catholic Cemetery. Visitation will be held Thursday, Feb. 14, 2019, at the church from 9:30 a.m. until the time of the Mass. In lieu of flowers, memorials may be made to the St. Francis Endowment Fund. The family wishes to thank the staff of Waunakee Manor and Agrace HospiceCare for all of wonderful care and support given to Paul. "Email Address" would like to share the life celebration of Paul C. Falkenstein. Click on the "link" to go to share a favorite memory or leave a condolence message for the family.